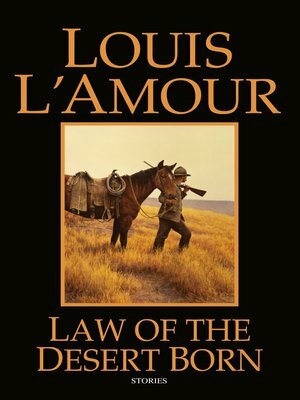 This first-rate collection of short stories by the incomparable Louis L'Amour showcases the legendary writer at his very best: spinning a fascinating and wholly authentic set of unforgettable tales. In these extraordinary stories, we meet a man who is forced to defend himself by taking another's life—and must pay for his actions in a most punishing manner; a young thrill-seeker who finally finds a place he can call home, and vows to stay there—regardless of the man who tries to stand in his way; and a drifter who honors a deathbed promise to a stranger by embarking on an unlikely mission of mercy. Complete with revealing author's notes, the stories in Law of the Desert Born are historically precise, and filled with L'Amour's trademark humor and adventure. They are nothing less than modern classics of the American West, told by one of the most beloved storytellers of our time.